If you plan to buy a home with less than 10% down and get CMHC insurance, get ready to pay another $450 per $100,000 of mortgage. That’s what CMHC’s just-announced premium hike amounts to. Click here for details. It’s the second time in about a year that CMHC has raised its fees on homeowners. The new premiums are a 14-15% increase over today, or 31% if you compare them to CMHC’s fees last year. 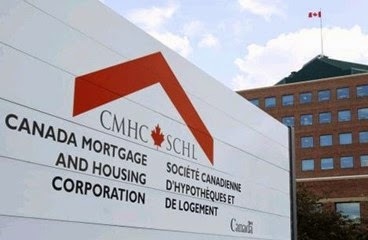 CMHC’s move targets only those putting down less than 10%, which amounts to 56.8% of CMHC-insured borrowers, as of CMHC’s latest reported quarter. The company says the decision is not because of an increase in borrower risk. “For the average Canadian homebuyer who has less than a 10% down payment, the higher premium will result in an increase of approximately $5 to their monthly mortgage payment,” the agency said in its release today. If your loan-to-value is over 90% and your lender submits your complete application to CMHC before June 1, 2015, you’ll pay the old (cheaper) CMHC fees. It doesn’t matter when your mortgage closes. Submitting a pre-approval as opposed to a complete application will not hold the old insurance premiums. If you borrow your down payment, the fee is another 5 basis points (0.05%) higher, or 3.85% of the mortgage amount. If you live in Manitoba, Ontario and Quebec, you also have to pay provincial sales tax on your default insurance. That sales tax cannot be rolled into the mortgage. Labels: Albertans, Amy Wilson, Amy Wilson Brokers For Life, CMHC fees, insured mortgage premiums.